Why are children in Montessori classrooms of mixed ages? Maria Montessori encouraged us to be aware of the fact that children learn a lot from each other. By having a mixed age of children in a classroom, children have a much greater opportunity to find a working partner who matches their current interest and ability. 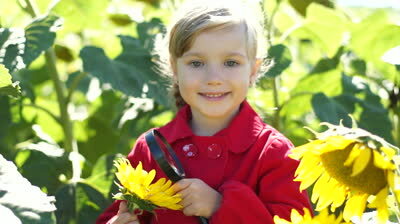 Often the children who choose the activity are of different ages but their interests are similar. The older children are also the models of expected behavior. Children learn by imitation of others and with so many excellent examples, they learn quickly from their peers. The mixed age also allows the child to witness their own growth in a very concrete way. They easily can see during their second year that they are able to do much more than the younger children who have just joined their group. During the third year, they are so comfortable with their environment, the activities and their teachers, that they function as ready resources for the younger ones. Even the most reserved Kindergarten children are blessed with this special honor. This is a great ego booster. It is not unusual for observers to comment on the fact that the older children can frequently be seen helping the less experienced ones carry a heavy map, set out an activity in sequence on their work mat or read an unfamiliar word. Having a mixed age group is a vital part of all Montessori classrooms. Why are academic lessons given individually or in very small groups? The answer to this question has a direct correlation to the one above. The range of ages in our classrooms runs from those who have not yet turned three years-old to those who are six years-old. Language (phonics/reading) and math lessons must be individualized with such a broad ranges of experiences. Sometimes there are two or three children who may be ready for the same lesson to advance their knowledge base. If that is the case, the teacher would gather those children together and give the lesson; however, most academic lessons are given on a one-to-one basis. An additional benefit to working this way is that is also affords the teacher and the child an opportunity to build a solid relationship. The atmosphere and tone of the classroom reflects a relationship of affection and respect the teachers and children have for each other. These relationships are carefully built during the three years the children have with us. Why are Montessori teachers required to have specific training in addition to that which is expected for traditional early childhood staff? 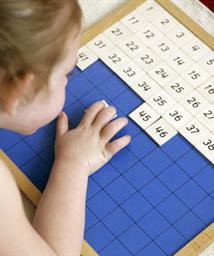 Montessori classrooms are equipped with materials and activities that are not found in traditional preschool settings. Montessori teacher training programs provide specific instruction on the use, presentation and goals of these materials. 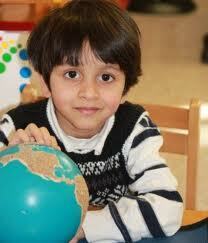 Students also study, appreciate and learn to work with young children following the Montessori philosophy. Maria Montessori was one of the first champions of early education who promoted working with each child on their individual developmental level. Teachers are trained in observation techniques which help them to design and use activities in their classrooms which address the current need and interest of individuals within the group. Montessori student teachers complete an academic level of training and then spend a school year as a supervised student intern in a well-respected school. After completion of all required phases of the training program they may then be recommended for certification.